So today we will see how to write code to get data and do stuff accordingly from the MyO Armband from the electrical signals that it can sense. First of all you have to Download the MyO SDK from the site and Extract the zip file and place it somewhere so that later you can add the path of it. You may have to register yourself before you can download it. 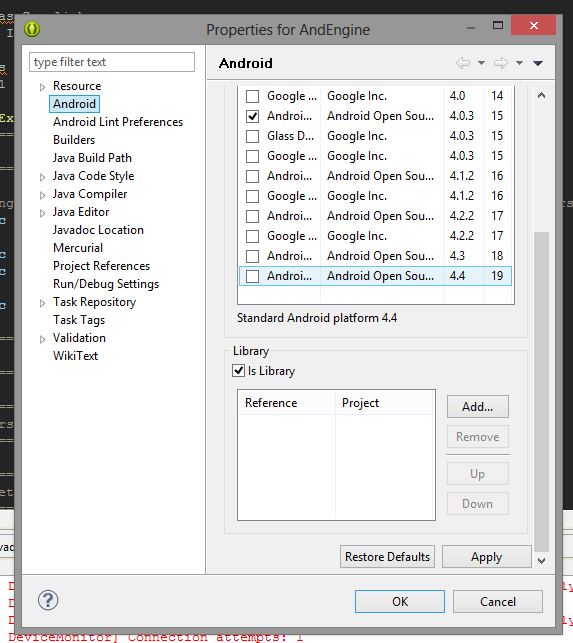 Create a new Project in the Android Studio, at the time of this tutorial my Compile SDK Version is API 23 Android 6.0 (Marshmallows), Build Tool version is 23.0.2, Minimum target SDK is 18. Ill be using a Galaxy s3 for testing. When it comes to Android Marshmallows you have to handle the new permission system. I’ll be explaining it in another Blog. Be careful when adding the maven url, it has to be the path to the MyO SDK, which you have downloaded earlier. And the path should go upto the level of the folder “myorepository”. In my case it was in the Desktop. The compile line will get the library from the path provided above and sync it. The reason is unlike many other libraries the MYO is not hosted anywhere to automatically Android Studio to find it. 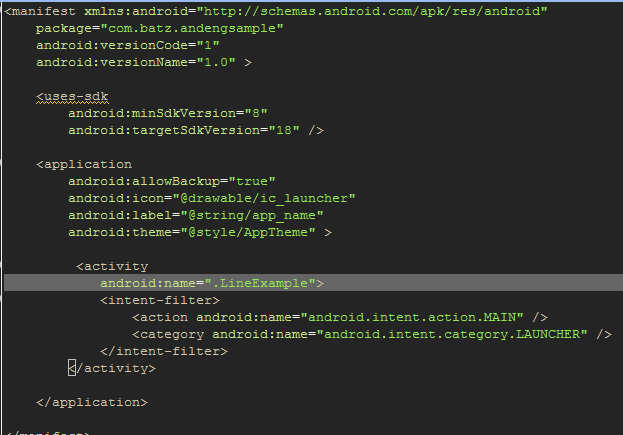 So this is kind of a work around to build a MYO app in Android Studio. Eclipse –> MyoSdk–>libs and copy all the folders in it. So we go to our main activity and first we have to create a instance of Hub and initiate it. Hub is the main guy who will be listening to the signals from the Band. Now we have initialized the Hub, now we have to find available MyO bands and connect to it. 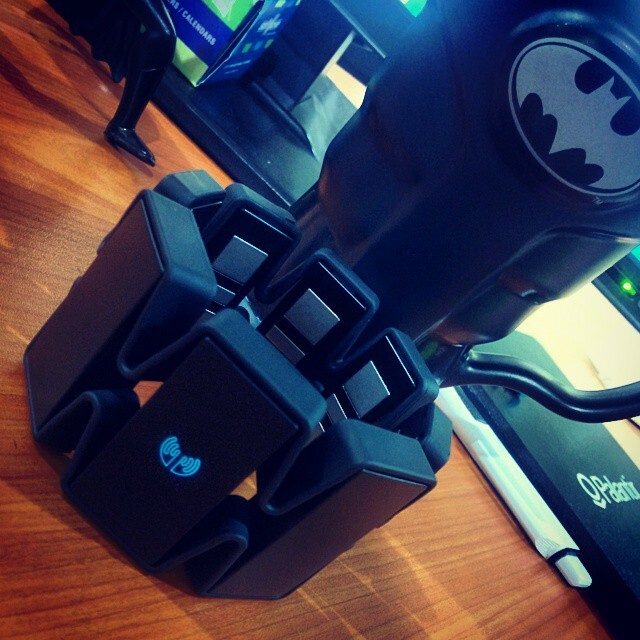 For that we start an activity called ScanActivity, which comes with the MyO SDK. and the other one is LockingPolicy.STANDARD – This policy is a general one that is used by most of the developers, which lock the device when it detects that it is not being used, so that when you want to use it again, you have to do the unlock gesture to unlock it. Remember all the code I am adding are in the onCreate() mthod. And I am only showing the snippets here. In the Full Code sample you will find them nicely organized in to methods. So that’s it folks now you can write your own code to do stuff for each of the MYO Arm Band’s gestures detected. Hi Guys, this time I am back with some Android Game Development. I got this idea after, the popular game Flappy Bird. Hope all may have tried that game…! Ok, so I wanted to develop a game and I did some researches and found out that there are a lot of Game engines out there. Some of them are COCOS2D, AndEngine, libGDX and many others. In this article I’ll guild you using AndEngine which is a bit easier one. In future I’ll write on libGDX. Assumption : I assume that you guys know how to install eclipse development environment, configure java path and install Android plugin to eclipse. This post does not cover all those basic steps. Advise : As this is a kind of a crash course, its advisable to create files the same name as I use(But it is not mandatory). 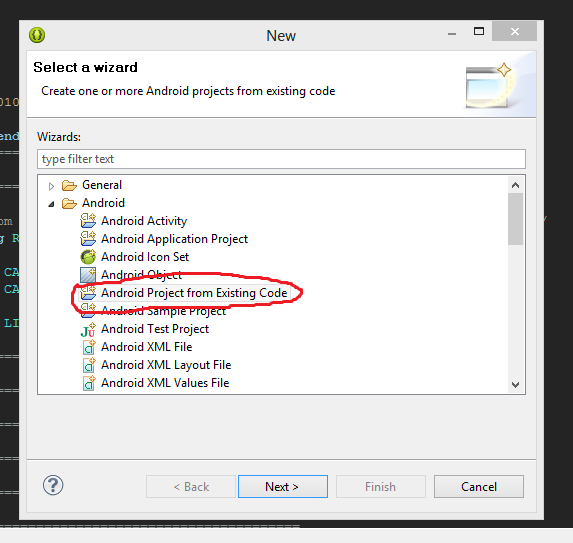 Create a new project and when creating select ‘Android Project from Existing Code’ and in it select the folder that we extracted in the Step1. This is a library project. Actually this library is the ANDENGINE. You can check it by right clicking on the project we created now and going to the Android tab. You can see the ‘Is Library’ check box ticked. 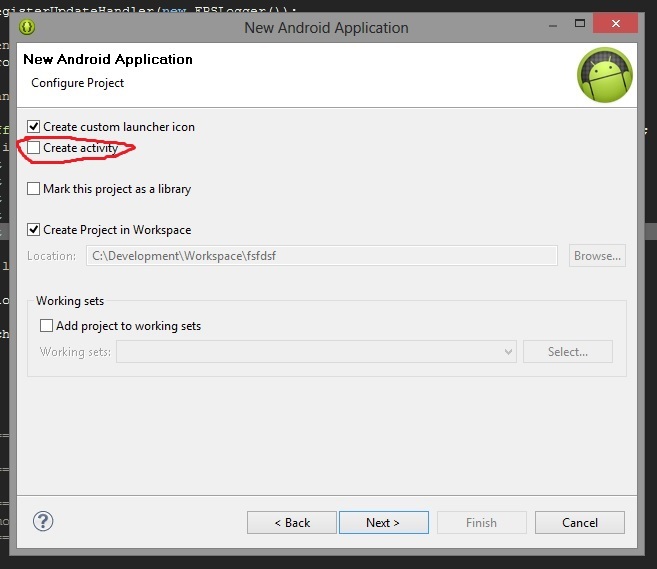 Now create a new Android project and un tick the create activity. Because we are going to create AndEngine activity using the library project we created above. Now in side the empty package Download or copy the code and create LineEample.java activity using this LineExample Source Code. You will get some errors, but don’t worry we will fix it in the next step. 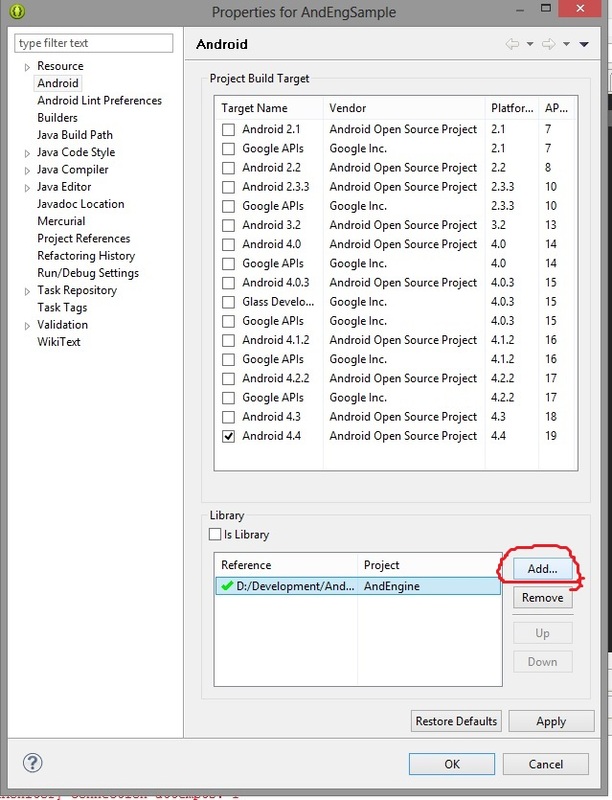 So now in your project, right click and go to Android tab and there in the below section(library section), click on the add button and select the AndEngine project and press ok. And then press Apply. Now all the errors may have gone. Some times you will have errors on the package name, if you have used your own name. So for that, click on the package name that shows as error, click ctrl key +1 key , which will bring suggestion to create a package name according to yours, and click on it to create it. And hopefully all the bugs will be fixed. Now you are ready to run the app. So while you are in the the activity try running the app. it should bring a screen where you will see lots of random lines.